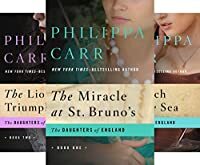 I was beginning to realize that there was something unusual about our marriage. . . .
King Charles has returned after Cromwell's puritanical rule and England is determined to be merry. The delights of the theatre beckon to young Sarah Standish, whose friendship with a beautiful actress prompts her to run off to become an actress on the London stage. Full of expectation and delight, she steps into a wonderful, exotic, and dangerous new world. A true innocent, her infatuation with handsome Lord Rosslyn leads to a quick marriage. Only too late does she realize the man she loved and trusted was a practiced schemer and a bigamist. But it is Sarah's daughter by Lord Rosslyn, Kate, who will become the true pawn of her father's greed and duplicity. The prize is Rosslyn Manor . 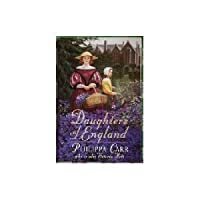 . . at a time when the fate of England enters the throes of a treacherous new fight for the throne, and Kate must battle for her future as well as her heart.